Because the pin of the Flexiklick is made from soft galvanized wire, the cut-off parts of the seal, will not puncture truck tires. If a truck will drive over the cut-off pin parts, the wire of the bolt pin will fray, and not penetrate the truck tire. This feature brings cost savings to any company that is maintaining a truck fleet or operating a cargo terminal. Compared to rigid steel bolt seals, the Flexiklick is easier to cut, when using a standard bolt cutter. Therefore this C-TPAT compliant bolt seal is the perfect security seal for any organization challenged with removing or applying larger volumes of security seals on a daily basis. 2. Anti-spin feature protects against friction attacks. 3. 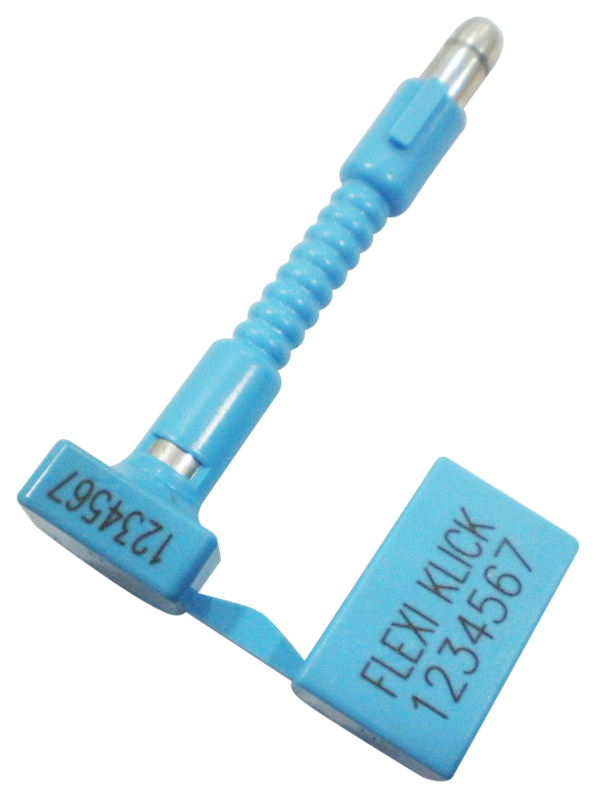 Compared to a rigid steel bolt seal, the Flexiklick is safer to cut, as the flexibility of the pin eliminates the ricochet or “bullet effect” created when most rigid steel bolt pins are cut by a bolt cutter. 4. The flexibility of the pin makes the Flexiklick easy to apply on container- or trailer door latches that have been “bend out of shape” after years of (ab)use. 5. 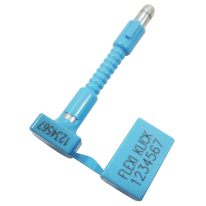 The extra long pin of the Flexiklick makes this seal perfect for truck trailers with roll down door latches that require additional pin length. 6. Flexible pin made from galvanized wire, provides excellent protection against crude tools such as hammers, crow bars and steel pipes. On impact, the pin will bend, not break. 7. 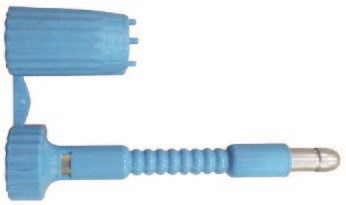 Pin and bush are joined together for easy handling.